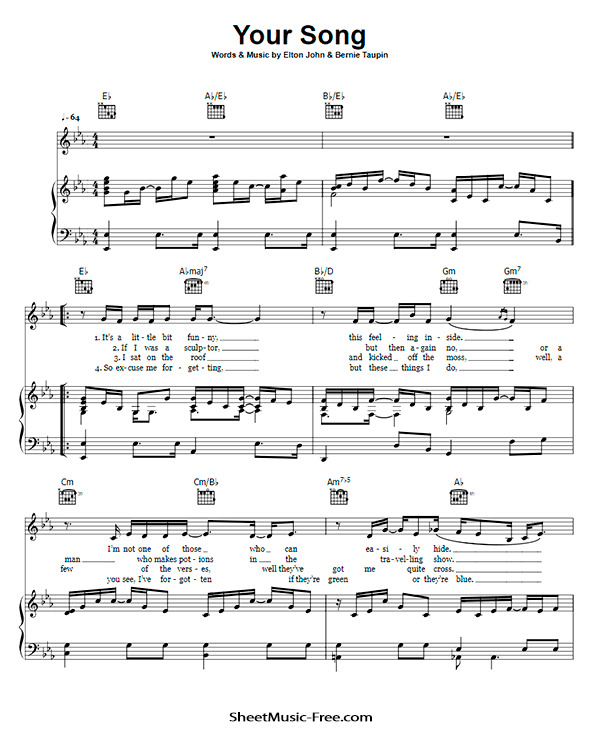 “Your Song Sheet Music” by Elton John, “ Your Song Sheet Music” for Piano / Vocal/ Guitar Chords , Original key: Eb Major, number of pages sheet music PDF: 4, Video and Lyrics song Your Song Sheet Music. “Your Song’” is a ballad composed and performed by English musician Elton John with lyrics by his longtime collaborator Bernie Taupin. It originally appeared on John’s self-titled second album (1970). Your Song Sheet Music Elton John.